Wait, that image says 2011 Focus. Wouldn't that be a later 2nd Gen? Wait again...in Europe the 3rd gen started in 2010, didn't it? Where'd you get that picture? It looks different from the factory wiring diagrams. Is that from ETIS or something? Well, it's the C346 chassis, which is the "mk3" as we know it. It did start in 2011 in europe, and in 2012 in North America. And as far as where it comes from, im truthfully not sure anymore. I know I've had it for a couple of years now, and its been accurate on wire colours for a few different things I've looked up. It also references BLIS, and a few other, more modern, features. I can't make out where the connections are. Do you have a better image or post the link? No link, unfortunately. Its a pdf I've had for years. What connections are you looking for? Here's the link for the PDF I'm using. locutist and vonirkinshtine like this. I'm trying to determine where the rear fog wire feeds into the bcm. Can I move the wires around? I wondered how the bcm would know that the original tail is now a fog light. The led portion does light properly as the tail light and the top still functions as the brake light. I should just be able to correct the wiring for the fog and then enable it in Forscan. How is this any different than enabling the front fogs (which I already have from build)? I've seen so many others do the front and thought the rear would be just as easy. Unfortunately, where the rear fog connects to the BCM is unique to the edm variant of the focus. To be truthful though, I havent pulled the bcm out and looked to see if there is wiring in the designated position. OK. I'm trying to do some wire tracing: my colors may not match yours but here's what I have. Last edited by locutist; 05-14-2018 at 03:37 PM. 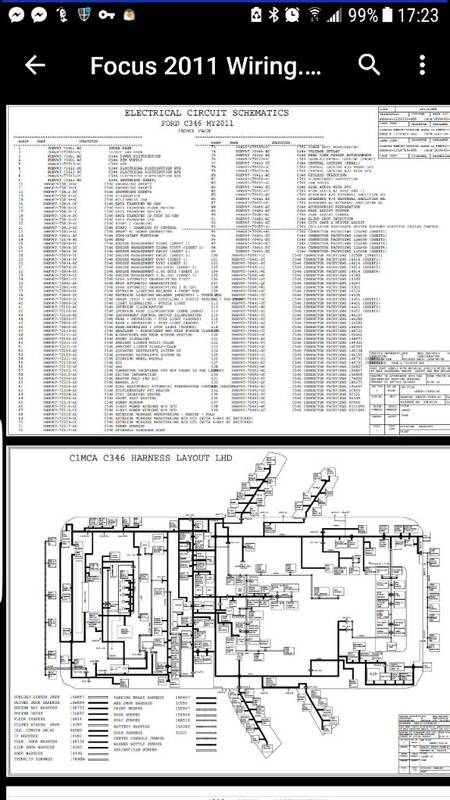 Did you download Humble Geek's wiring schematics above? Look for connector C4LS35B. Those go back to connector C1BP02B at the BCM.